An asteroid the size of a football field is headed for Earth's neighbourhood this weekend. This will be the latest in a string of space rock approaches towards our blue planet. 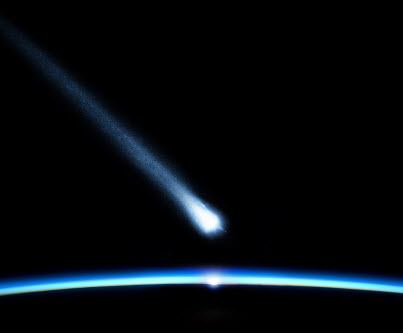 The meteorite explosion over Siberia last month sent over a thousand Russians to hospital. The frequency of these asteroid 'fly-bys' is unsettling, especially because they are so difficult to detect. The coming asteroid is 100 meters wide (330 feet) and is predicted to avoid collision with Earth by just a few cosmic streets – or 960,000 kilometres (600,000 miles). The asteroid will not be visible to the naked eye, but Italian astrophysicist Gianluca Masi will provide stargazers with a live webcast of the fly-by starting at 2 p.m. EST on March 8th.